As a kid I would grab cooked beets from my mom's kitchen not for eating it but tinting lips with a gorgeous pink color. It was a fun activity those days with this natural lipstick. Being a grown-up and mom to 2 kids there has been shift in this kind of thinking, now I adore beets for its distinctive flavor and nutritional status. This powerhouse root bursting with phytonutrients, vitamins, antioxidants and minerals is why I always look for ways to incorporate it into my diet. Are you also trying to add beets into your diet? 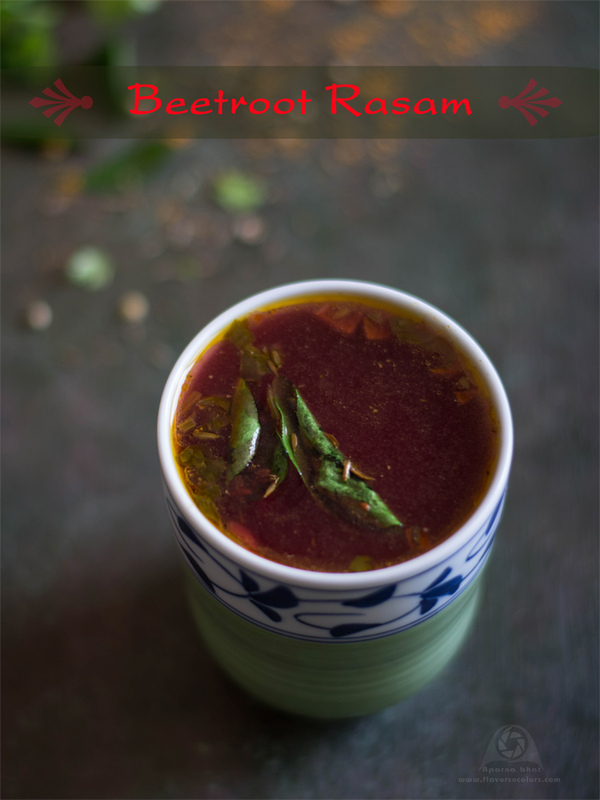 then try this simple Beetroot Rasam recipe. 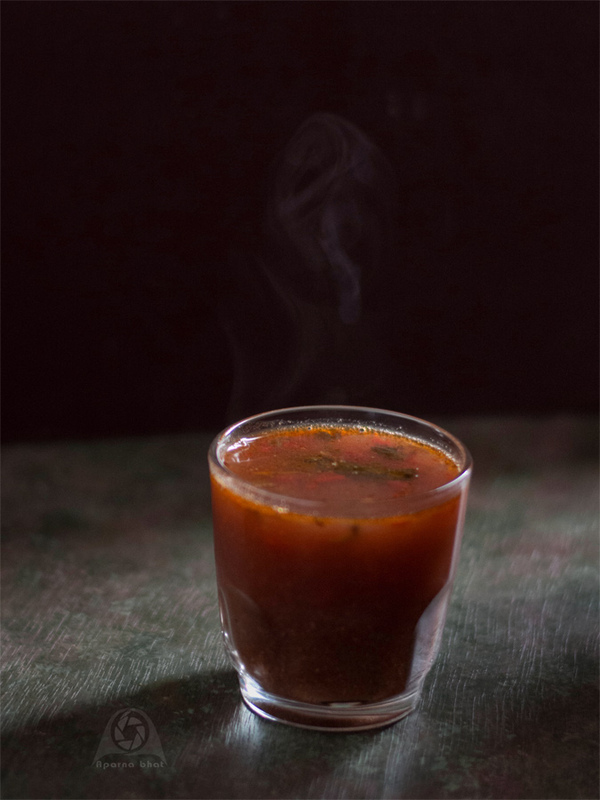 Beetroot rasam is a twist to regular rasam recipe. This vibrant rasam goes well with some steamed rice and a dollop of ghee. Alternately you may drink it like warm soup. Wash, peel and dice the beetroots. Boil it in enough water until soft. You may choose to pressure cook chopped beets for 3 whistles. Once the pressure is released, remove the cooked beets and puree them. Keep this puree aside. Heat ghee in a pan. Add curry leaves and asafoetida. Next add minced green chillies, chopped tomatoes and stir it for a min. Add tamarind juice and beetroot puree. Mix it well and continue cooking. Add all the spice powders, rasam powder and water as required. Add salt to taste and jaggery. Simmer the flame and let the mixture come to a light boil before you switch off the flame. Prepare seasoning with ingredients as mentioned above and pour it on the rasam. Garnish with finely chopped coriander leaves and serve it hot. You may prepare rasam with water used to boil veggies and keep boiled veggies aside for use in other dishes. Instead of making beet puree, use the diced and cooked beetroot as it is in rasam if you prefer to have pieces in this soupy preparation. If you are interested in more beet recipes click on below links.